Veteran’s Day is a time to honor those who fought to keep America free. The military has an especially warm place in my heart – my dad was a career Navy man. 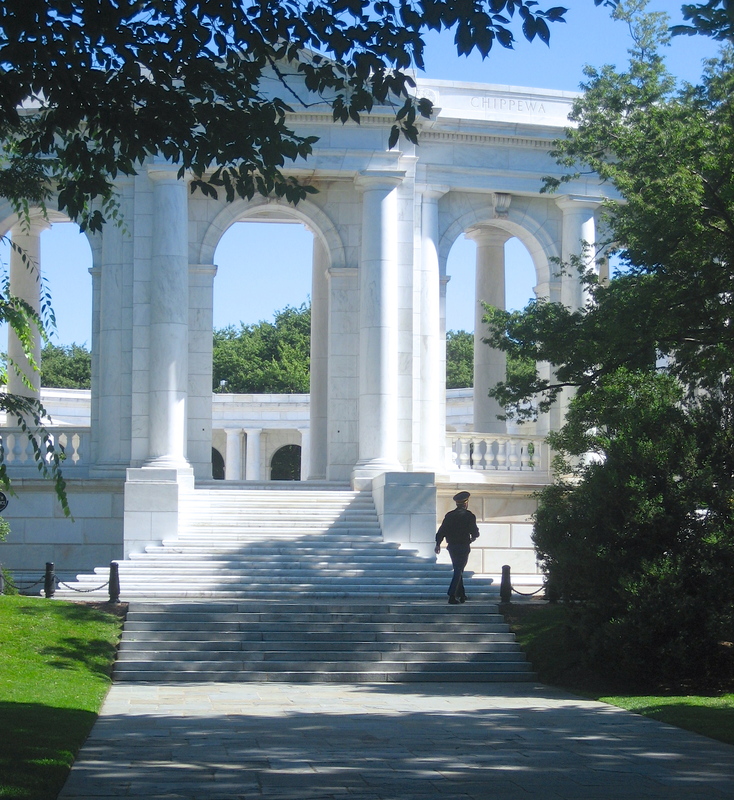 Remembering our military and the sacrifices so many have made takes me back to a day when I visited the Atrium at Arlington Cemetery. Honor, respect, and the scent of great sacrifice permeates the air on those sacred grounds. I stood on the upper terrace of the Atrium and watched a soldier. He, his petite wife, and toddler son had been in the center of the Atrium and were then walking up the steps to the top of the terrace where I stood. Gratitude flooded my heart and I felt compelled to speak to him. I took a step toward him as he arrived on the terrace with his family. My breath caught as I took in the full scope of this man. His uniform revealed him to be special forces, our elite of fighting men, and I realized that he would be placed in the most dangerous of assignments to keep people like me free. He was someone’s son, this woman’s husband and this little tyke’s dad, yet he risked so much for all of us. I took a deep breath and stepped over to him. He bent down a little to look me in the eye and with a little smile said, “Yes, Ma’am.” Such chivalry, such tenderness from this massive military man. A lump formed in my throat as I looked at his wife and son standing there. Nodding my head at her, then again at the soldier, I felt I was in the presence of greatness. He released my hand and we both walked away. Me, back to my tour group, and he, back to his visit with his family. I prayed that day, and still do today, that he fights the good fight and comes home safely. Thank God for him and soldiers like him, both men and women, who sacrifice time away from home and family, and risk life and limb, to make sure America remains free. I am humbled by the thought and deeply grateful.